The press release says, “file under: Jazz” but this is a little broader than that; just the way we like it! After all, as soon as you insert the violin into the jazz genre, boundaries begin to blur… Stéphane Grappelli, Jean-Luc Ponty, Billy Bang, even Nigel Kennedy… hardly ‘vanilla’ any of them. Just the sound of the instrument takes the music out of the conventional jazz bracket (begging the question, what is “conventional jazz”, but that’s for another day…) Add some distorted electronic strangeness, while retaining the elegant expression of the acoustic instrument and the sonic possibilities broaden still further. 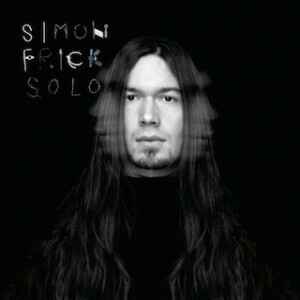 Simon Frick is a genre-hopping explorer, coming at both jazz and his instrument from a starting point of rock and heavy metal, filtered through extensive classical schooling. These roots and influences are explicit in his choice of covers – Nirvana, System of a Down, Guns n’ Roses, Dream Theater – but rest assured, his exploratory instincts take him well into his own territory on the eight original tunes here. Moments features a highly percussive intro, with a plucked and tapped track underpinning a contemporary quasi-classical elegy. Veilchenalkowohl is all overdriven gypsy metal riffing, bookending a rather more romantic section. Internal Bleeding is appropriately melancholy, evoking a Central European melancholy. Dazed‘s throbbing delay, drone-ish noises and layered slashes of sound conjures a more doom-laden landscape. From straightahead melody to more disorienting fare, Frick’s own compositions are a varied showcase of his talent and approach, as he traverses both past and future via a broad palette of sonic possibilities. Back to the covers for a moment… Smells Like Teen Spirit is attacked and twisted with gusto and it’s highly pleasing to hear not only a vibrant take on the anthemic original, but also some frenzied digressions taking us into new places. ATWA is a fairly straight cover, showing just what can be done with one instrument and a multi-track studio. As for Don’t Damn Me, I have to admit that Gn’R had fallen off my playlist before 1991’s “Use Your Illusion”(s) and a quick comparison leaves me thinking Frick has substantially improved on the original, bringing to it a great deal more subtlety and dynamic variation. Finally, classical plus metal? No surprise at all to hear nod to Dream Theater and it’s In the Name of God that is perhaps the high point of the album, with its air of sustained menace and fluid soloing. “Solo” is available from Amazon, iTunes and CDBaby. For more about Simon Frick and what he’s up to (including some interesting collaborations) take a look at simonfrick.com.